Dispatched, from the UK, within 48 hours of ordering. This book is in Brand New condition. Grubby book may have mild dirt or some staining, mostly on the edges of pages. Fair. Ex-Library rental. Includes Playaway unit, case, and artwork. Battery, headphones, and lanyard not included. Playaway unit, case, and artwork may contain library/security stickers and ink writing. Playaway unit, case, and artwork may show some wear. Guaranteed functional. Very Good. 0316010669 ALL BOOKS SHIPPED WITHIN 1 DAY OF PURCHASE! Very Good. 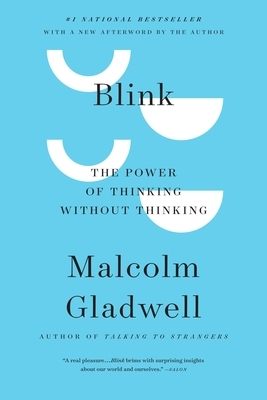 Blink: The Power of Thinking Without Thinking by Gladwell, Malcolm, 2007-04-03. Trade paperback (US). Glued binding. 296 p.
Good. Blink: The Power of Thinking Without Thinking by Gladwell, Malcolm, 2007-04-03. Trade paperback (US). Glued binding. 296 p.
Very pleased with the condition of the book - Perfect. And also the timely manner in which it arrived and cost! Haven't read it yet, although I am now reading Tipping Point and have read one other of Malcolm Gladwell's books. He is always an interesting and enlightening read for me. so what ever he has written, I know I will like it and will buy it just because he is the author! From the opening story to the end a interesting and useful book. An interesting read. Would recommend this book for your enlightenment. As I continue to read, this is another book to add to your library.. I bought this book for my husband. He had borrowed the book from a friend and loved it so much he wanted his own copy. I gave it to him for his Birthday.